NCCAS Launch Event - Watch it here! The National Coalition for Core Arts Standards (NCCAS) will be joined by singer-songwriter and arts education activist, Ben Folds to host a formal launch of the new National Core Arts Standards 9:00 a.m. on Monday, October 20, at the Microsoft New York Metro District Offices in Times Square. The one-hour event will feature remarks by Robert L. Lynch, President and CEO of Americans for the Arts and David A. Dik, NCCAS leadership member and National Executive Director of Young Audiences Arts for Learning, and be live streamed via Google Hangout on this webpage. The Core Arts Standards were created by the National Coalition for Core Arts Standards (NCCAS), a partnership of ten national arts and education service organizations. 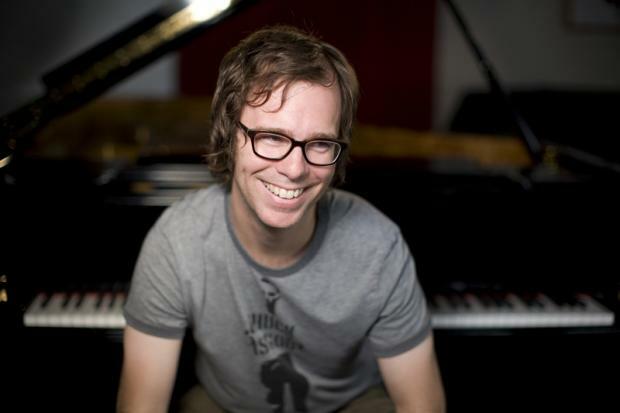 We are excited to have Ben Folds host the NCCAS launch event. He is a multi-platinum selling singer/songwriter/producer, who first found mainstream success as the leader of the critically acclaimed Ben Folds Five. Ben Folds has gone on to have a very successful solo career, recording multiple studio albums, a pair of records documenting his renowned live performances, a remix record, music for film and TV, as well as numerous collaborations with artists from Sara Bareilles to William Shatner. The previous version of national arts education standards were published in 1994. Since then, states have used them as the basis for adapting their own arts standards according to state and local needs. The 2014 document includes new standards for arts educators in the four artistic disciplines of dance, music, theater and visual arts, and the first national standards for media arts. Americans for the Arts, an NCCAS member, is leading a state-based grassroots effort to gain support and adoption of the newly minted standards. The NCCAS launch event will include an overview of the new standards and a briefing on the importance of the arts in education to equip America’s next generation with the creative and collaborative skills needed by a 21st century workforce.